Cozy Cottage by the Sea! From the moment you kick off your shoes and grab a cool drink you’ll begin relaxing at this cottage by the sea. Walk the ever-changing tidal marsh, home to herons, blue fish and bass or cast a line off one of the best fishing beaches on Cape Cod, just minutes from your door. The sand bars at low tide are home to a wide variety of marine life and you will love setting your chairs and towels in the middle of the Bay. 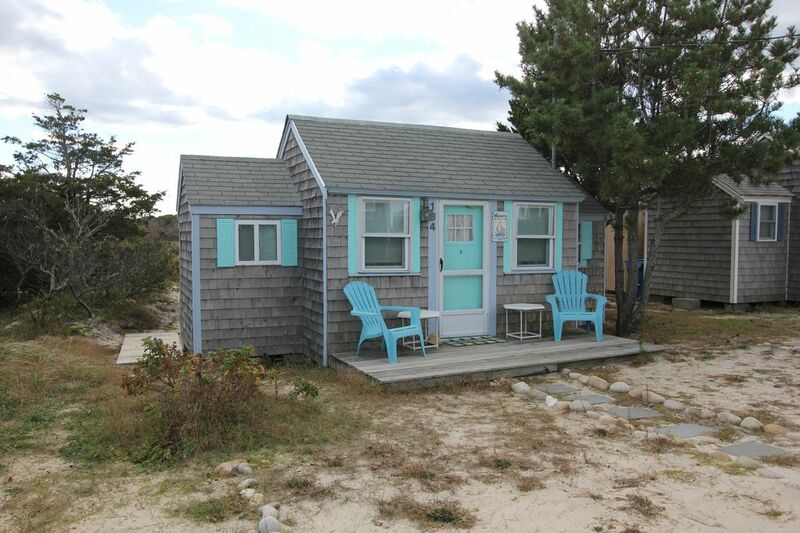 Newly updated, the cottage is equipped with everything to make your vacation memorable. Boston, Newport, Provincetown and Providence are just an hour away and the boats for whale watching or the Islands are within a half hour drive. After a busy day of touring, cook some lobster in the kitchen and relax watching movies on your crab TV. Welcome to the Beach! Sand Dollar Realty is committed to providing outstanding customer service to all of our clients. Whether you are buying a property or renting a cottage, it is important that you work with a professional that has a deep knowledge of the local market. The staff at Sand Dollar is committed to taking care of all of your requests and concerns and making your experience with us a pleasurable and unforgettable one. Please remember to bring your sheets and towels with you or order them locally through Dune Tootin Linen rentals. http://www.dunetootin.com/order.html. Location was perfect. Close to the beach and nice private deck in the back. Owner of the cottage was great. Thanks! As the first town settled on the Cape and with its proximity to the Sagamore Bridge, Sandwich is the place where Cape Cod’s legendary beauty and hospitality begin. For those who love fresh air and moving freely outdoors, Sandwich has miles of coastal marsh providing hiking and kayaking experiences like no other. Ride your bike along the Cape Cod Canal, the widest sea-level canal in the world, and enjoy the view of boats, ships and an active and colorful fishing community. Kayak the meandering salt marshes or hike to the top of the ridge in Maple Swamp. Visit the picturesque and historic Sandwich Boardwalk which stretches plank by plank out to the Bay. Then there are the beaches and marina. Boating on Cape Cod Bay is exhilarating – face-to-face with the Atlantic Ocean is sure to leave you rosy-cheeked and invigorated. Or, shift gears towards a leisurely day at one of our beaches – low tide offers warm accessible tidal pools perfect for younger children to explore. All these ways to get out and play are family-friendly and make Sandwich a great destination for the nature-loving and active visitor. Sandwich offers the New England village life the way it used to be. This seaside community has retained its small town New England charm with a historic center. The heart of the Village is the 1834 Town Hall where residents still go to access town services. Next door is a working grist mill grinding corn since 1654 and nearby is the Hoxie House, a museum house showing what family life was like in the 1600s. A short stroll down Main and Jarves Streets leads to beautiful boutiques, gourmet food and wine, art galleries or a cup of tea in a quaint tea room or a meal in a one-of-a-kind restaurant. Sandwich is rich with historical and working museums. Heritage Museums & Gardens offers lush and inspiring gardens, an antique car museum and an antique working carousel. The Wing Fort House and the 1678 Benjamin Nye Homestead & Museum pay tribute to the tenacity and hard work of our forbearers. The Green Briar Nature Center and Jam Kitchen take visitors back to the experience the simple pleasures of a life lived with reverence to nature. Sandwich's local, independent businesses have created a thriving and unique shopping environment. From custom jewelry, to gifts, books and treasures for the home, you are guaranteed a relaxing day in the shops with friendly and personal attention. Because Sandwich has avoided strip-mall style development, it has retained its unique character, charm and sense of community. Shops and restaurants reflect the styles and passions of their owners and customers, not a corporate branding campaign.